The path of an entrepreneur is often filled with trials and tribulations but for Shuen Chiu, the future of entrepreneurship lies in sustainability. The tenacious entrepreneur founded Rent A Dress, Malaysia’s first online designer dress rental site to take the hassle out of dressing up for busy women while providing them access to quality dresses at affordable prices. “Running my own business, I have learned that it is always about the people as people can truly surprise you with their kindness, tenacity and strength when you least expect it,” she says. The Sulwhasoo Concentrated Ginseng Renewing Serum is the latest addition to the Concentrated Ginseng Renewing Line. Inspired by the ultimate beauty of plum blossoms blooming in the snow, the anti-ageing serum reverses the effects of ageing by increasing the skin’s elasticity to create a firmer and smoother look. Formulated from ingredients such as ginseng leaves, stems and roots – which all hold the key to skin’s vitality – the serum enhances the Derma-Epidermal Junction (DEJ) to plump up the skin from within and improve the appearance of fine lines and wrinkles. By fully utilising Sulwhasoo’s ginseng research and technology, the serum is also powered by Sulwhasoo’s newly improved technology, Ginsenisphere™, which acts to deliver small delicate capsules infused with precious ginseng seed oil to the skin. The skin is instantly nourished from within, leaving behind a silky finish with no sticky residue. For firmer skin and a more lifted appearance, layer on Sulwhasoo’s Concentrated Ginseng Renewing Cream EX. A culmination of Sulwhasoo’s 50 years of ginseng research, the Concentrated Ginseng Renewing Cream EX targets early signs of ageing skin such as dryness, loss of firmness and dullness by restoring the skin’s elasticity and resilience. The cream boasts a precious anti-ageing ingredient known as Compound K which is found in ginseng roots. Other ingredients such as Ginsenoside Re extracted from ginseng flowers also prevents skin damage by enhancing the skin’s defensive power. The cream is now available in two options to suit different skin types. The original version features a nutrition-rich texture enhanced with a profound ginseng scent for dry skin, while the light version boasts a soft, refreshing texture enhanced with the fresh scent of ginseng flowers for oily skin. 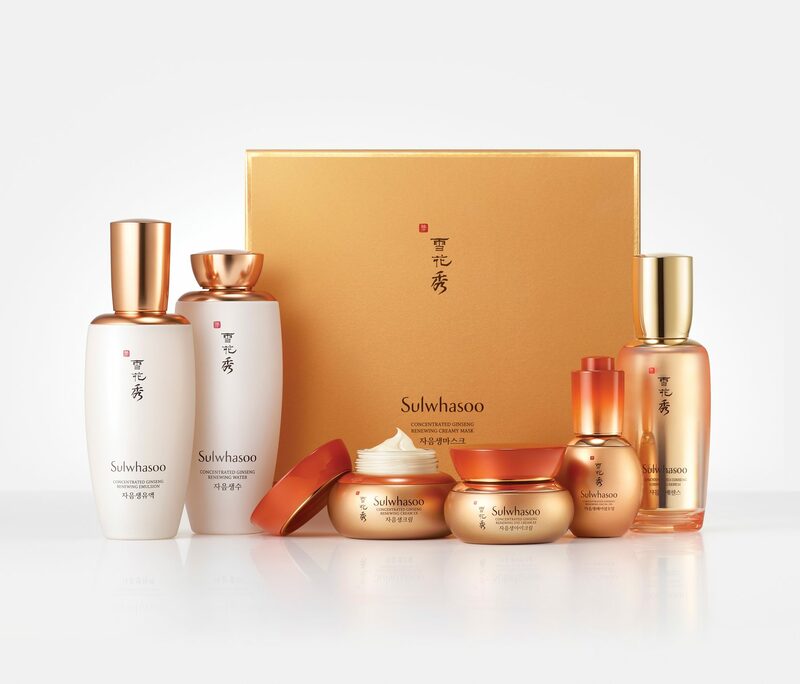 Sulwhasoo has also introduced two new products to complement its Concentrated Ginseng Renewing Line – the Sulwhasoo Concentrated Ginseng Renewing Water and the Sulwhasoo Concentrated Ginseng Renewing Emulsion. Both products are formulated with Steamed Ginseng Water Concentrate™ and designed to prep the skin by boosting the skin’s hydration level and firmness. The effects are further enhanced when used together with the Concentrated Ginseng Renewing Water and Concentrated Ginseng Renewing Cream EX.